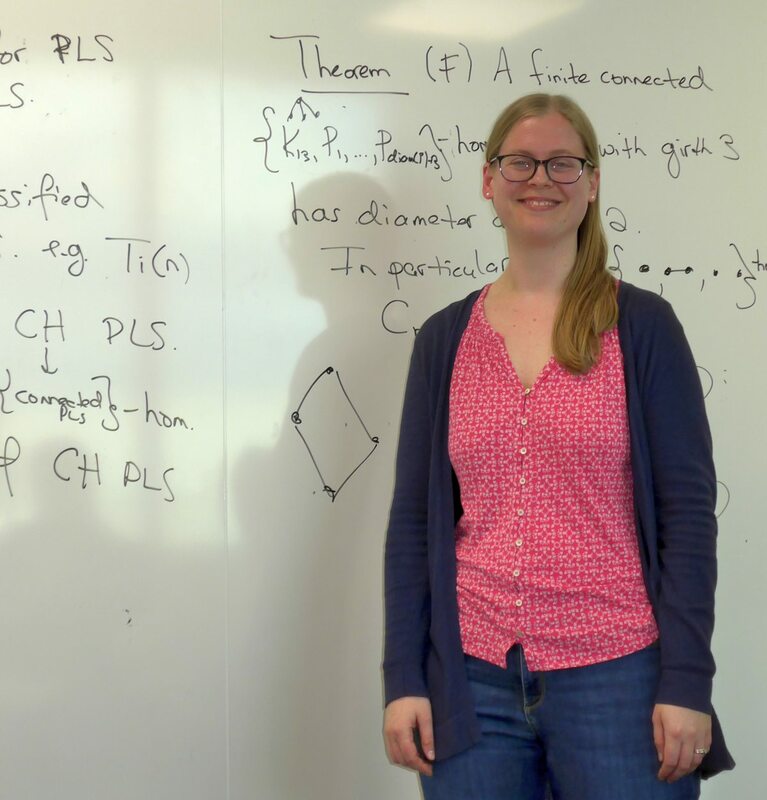 On the 27th of March 2019, Dr Joanna Fawcett (Imperial College, London) visited Charlotte Scott Centre for Algebra in Lincoln and gave a talk on “Tree-homogeneous graphs”. Abstract: Let be a class of graphs. A graph is -homogeneous if every graph isomorphism between induced subgraphs and of such that extends to an automorphism of . For example, if , then -homogeneity is vertex-transitivity, and if , then -homogeneity is arc-transitivity. A graph is tree-homogeneous if it is -homogeneous where is the class of trees. We discuss some recent progress on classifying the finite tree-homogeneous graphs, as well as some connections with certain highly symmetric incidence geometries called partial linear spaces. This entry was posted on March 29, 2019 by Evgeny Khukhro in research, Seminar, Visitors.